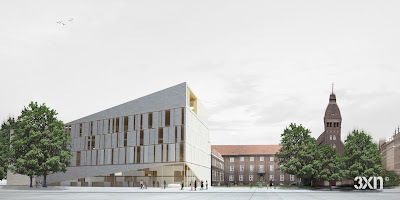 Architects 3XN has won an architectural competition for the Frederiksberg Courthouse in Denmark. 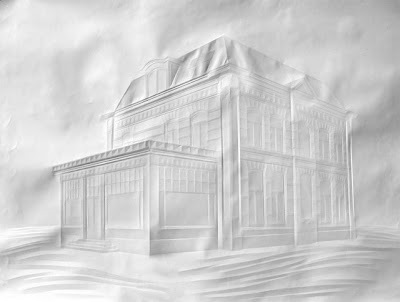 The new Courthouse will be a natural extension of the existing neo-classical building and is intended to express a welcoming transparency whilst maintaining the sobriety and seriousness of the justice system. 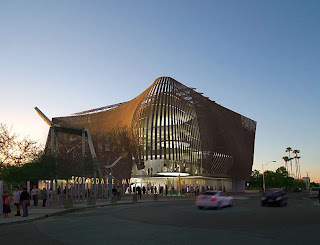 The 45,000 sf Museum of the West is to be located in Scotsdale, Arizona. 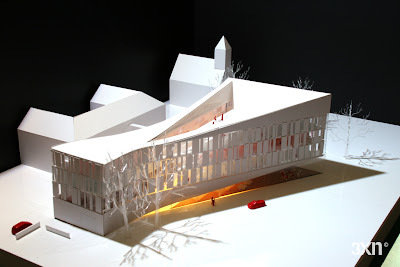 This proposal by architects Jones Studio draws inspiration from a straw hat filtering the sun and mitigating the heat. 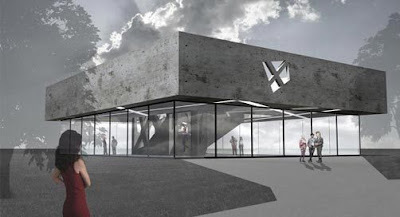 A competition proposal for the Mauer Museum in Berlin on the site of checkpoint Charlie by HWKN architects is defined by a solid volume (defined by the height of the old Berlin wall) hovering over a transparent public space. 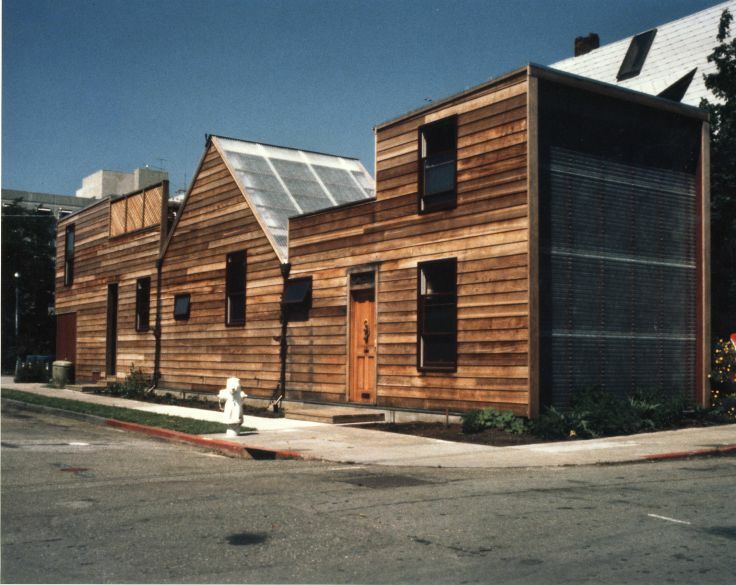 Originally designed as a graduate thesis project, architect David Baker built and resided in the Spaghetti House in the 1980s. 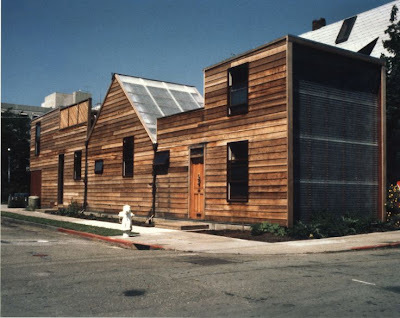 Built in San Francisco, California the house is actually the renovation of a dilapidated 1911 stucco duplex that used every inch of available lot space. 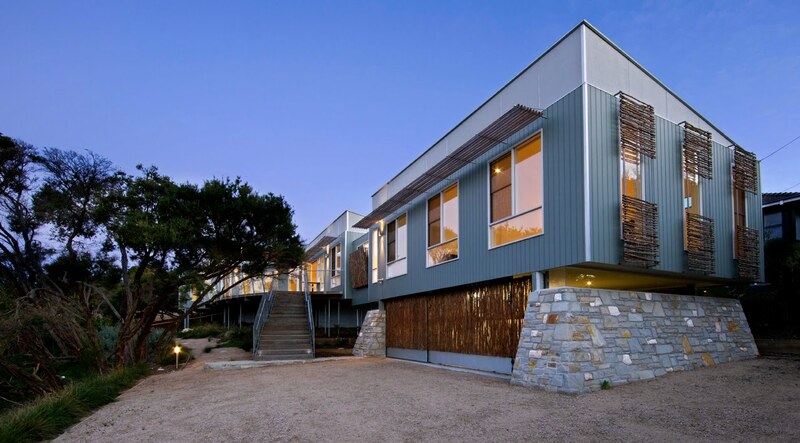 The house smartly and quietly uses alternative energy sources integrated into architecture. 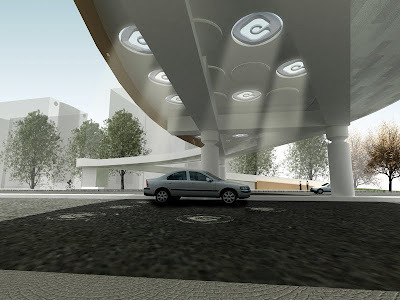 Studio Banana TV interviews Italian architect Benedetta Tagliabue from the studio Miralles-Tagliabue (EMBT)in Barcelona. 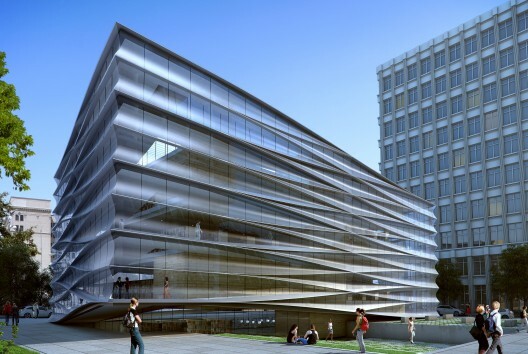 The competition entry for the Taipei Music Centre by Italian architects Nabito consists of a simple twist on a rectangular from which visuals are projected and the sun's rays are captured. 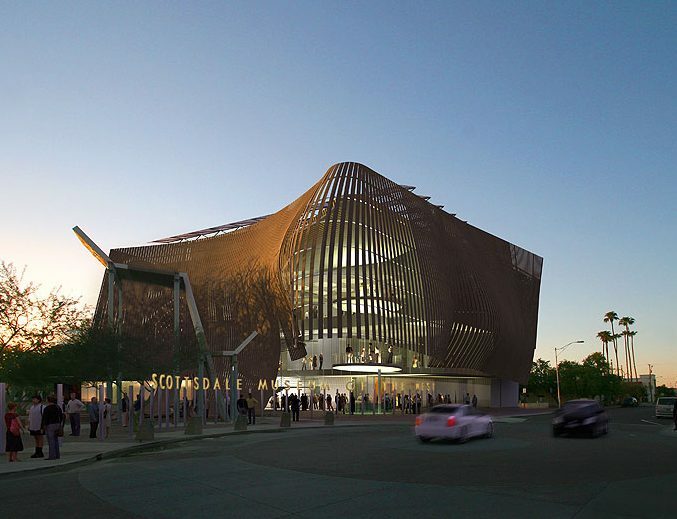 The design programme for the proposed library in downtown Baton Rouge, Louisiana by Trahan Architects is curtained around the service core resembling an extruded accordion. 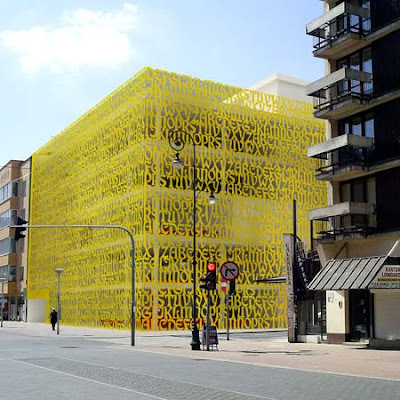 Designed as a graduate project, the Łódź Public Library by Maciek Grelewicz’ includes alongside a traditional and media library, a cafe, exhibition spaces and a roof terrace, contained in a golden lettered skin. 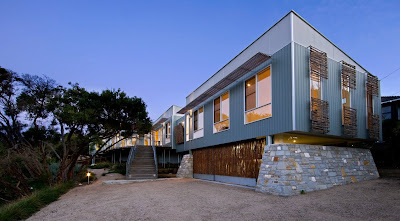 Perched on a large elevated deck, this low key beach house by Marcus O’Reilly Architects, sits on an eucalyptus tree filled site in the Mornington Peninsula in Australia. This eco-responsive dwelling utilises passive means to limit the effects of the environment and uses local materials, in the sandstone walls and tea tree stake sunshades in a nod to the local vernacular. 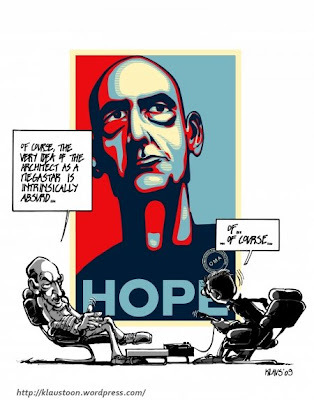 Today is the 65th birthday of Dutch architect and 2000 Pritzker Prize Laurette Rem Koolhaas and at an age when most have to legally retire he seems to be going as strong as ever and such I've decided to do a post devoted specifically to all things Rem. Happy Birthday. 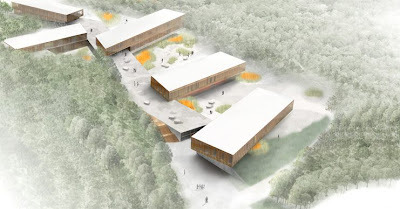 Canadian Architects GH3 have revealed via their website a proposed sustainable master plan for the Humber College for a forested site in Orangeville, Ontario. 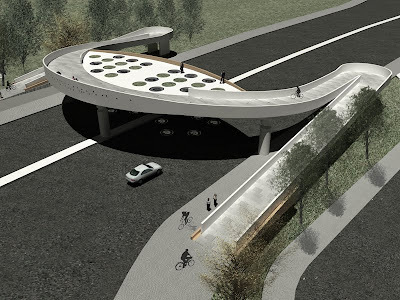 A proposal by Suleiman Alhadidi of Mutation studio for a new cycling and pedestrian bridge in Lisbon, Portugal. 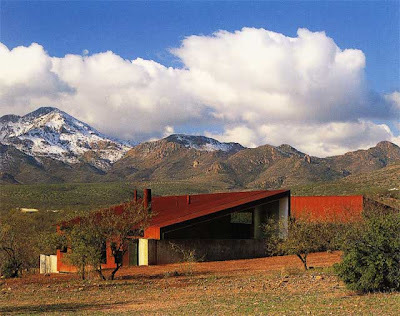 In the desert of Arizona, architect Rick Joy has created a rough weathered steel exterior form that contrasts with the refinement of the soft white, steel and maple wood interior palette. 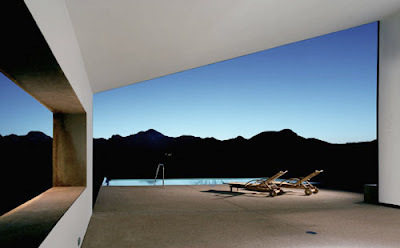 The house, defined by retaining walls burrowed into the hillside, is punctuated with openings that frame articulated views of the landscape. The civilized man has the habits of the house. 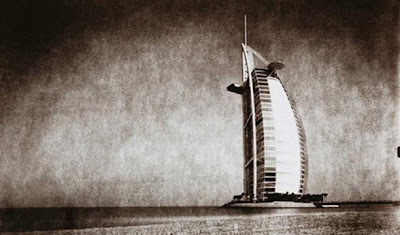 His house is his prison, in which he finds himself oppressed and confined, not sheltered and protected. 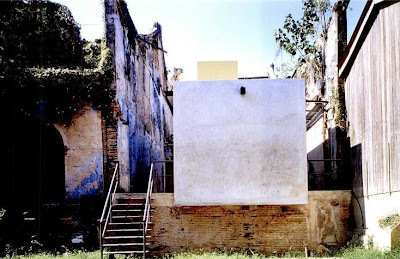 He walks as if the walls would fall in and crush him. 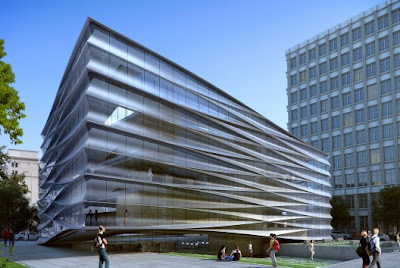 Jacques Herzog (architects Herzog & de Meuron) discusses plans for the extension to the Tate Modern gallery. Studio Banana interviews Spanish architect Iñaki (Ábalos + Sentkiewicz architects). 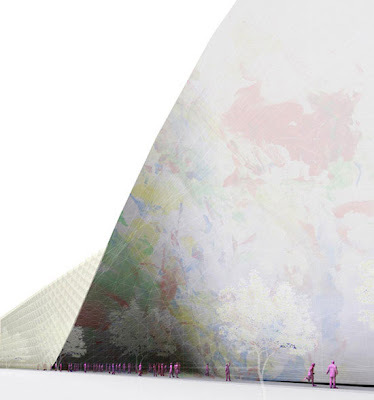 In September 2009 the Norwegian Ministry of Culture and Church Affairs announced the shortlist of competitors for the design of the New National Museum in Oslo. 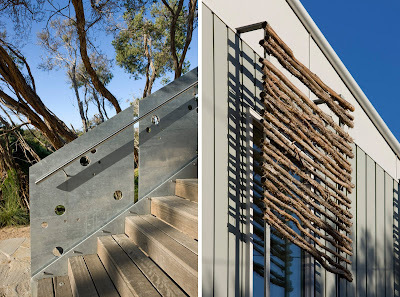 The names of the architects behind the designs have not been made public, but you can see the works here. 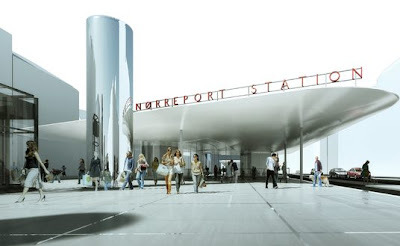 COBE architects have been awarded the design for the new Nørreport Train Station in Copenhagen, Denmark having won first place in the international competition. 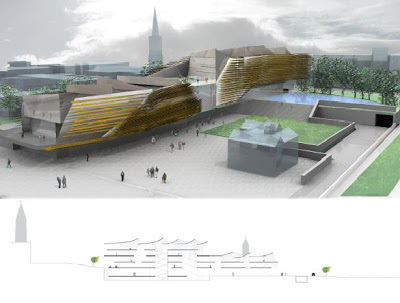 Inspired by the connection to the Dublin port and resembling a dismantled hull of a ship, the proposed £30m Central Library and Cultural Centre in Dun Laoghaire, Ireland by Walter Menteth Architects will serve as the anchor for a new public park towards the North Irish sea. 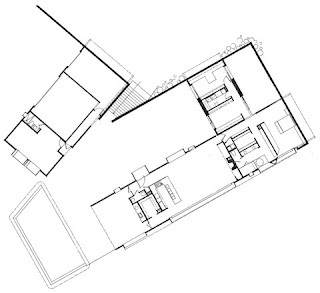 The shophouse is an important element in the study of how the Malay streetscapes evolved demonstrating the negotiations between the strict Dutch planning regulations of the 17th & 18th Century and the commercial and domestic needs of the urban population. 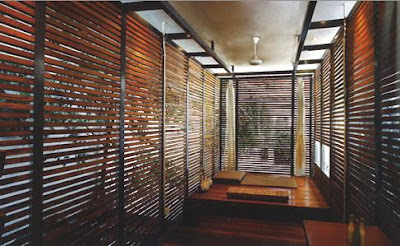 Singapore architect Chan Soo Khian (SCDA Architects) renovated this historic site in 2002 on a meagre budget as a meditation centre that sympathetically recalls it's previous use as an urban residence. Architecture is a local act: it ought to be attentive to and representative of the unique physical, topographic and environmental constraints of the location.